In the last few years WordPress improves itself so much and every day and maybe every hour new plugins are being released for WordPress. When WordPress was first released it was hard to imagine to use wordpress platform as a shopping platform or selling anything from the blog but as you see below,many plugins are released for shopping,e-commerce solutions or even for donations. The current plugins must be updated on a continuous basis and this brings another threat to site administrator. Whenever updating site one should know that cyber criminal can hack the data along with all the passwords anytime. Using virtual private network would help to avoid the threat. The best VPN for security is Nord. Today i’ve collected 23 WordPress Plugins to set up an Online-Shopping and Ecommerce blog.Hope you like the list. WP e-Commerce makes it easy for you to accept payments online. WP e-Commerce integrates with Google Checkout, Paypal, Authorize.net, Payment Express and many other trusted payment processors. Quick Shop supports any WordPress that has the Sidebar Widgets installed, really. It adds a SideBar widget that shows the user what they currently have in the cart and allows them to remove the items, not to mention a TinyMCE button to easily allow you to add products to your posts/pages. Also, you will need to make your own CSS for this. * User configurable email templates. * Configurable Out of Stock message. * Merchant gateways:Authorize.net, Paypal, Payson, eProcessingNetwork, Webtopay, iDEAL and Cash/Cheque! This widget enables you to display all relevant live shopping offers (guut, schutzgeld, preisbock, ibood) within your WordPress blog in one single widget. You can add the widget to your sidebar and customize its appearance as you like inside the boundaries of LiveShoppingWidgets presentation options. YAK is an open source shopping cart plugin for WordPress. It associates products with weblog entries, so the post ID also becomes the product code. It supports both pages and posts as products, handles different types of product through categories, and provides customisable purchase options (cheque or deposit, basic credit card form, basic Google Checkout integration, standard PayPal integration, PayPal Payments Pro, and Authorize.net). Use “Are PayPal” WordPress plugin to monetize your wordpress blog’s content using PayPal. With Are PayPal you can set post/page to contain hidden content, instead of the hidden text user is shown a message about the action he has to take to be able to see the content, content can be set as hidden for unregistered users and visible for registered. 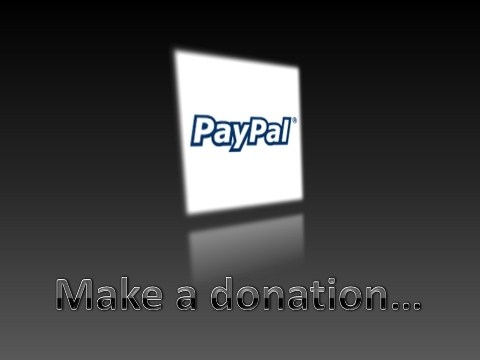 This plugin allows to insert Paypal buttons in your posts or pages, just using a shortcode. This plugin don’t have a management panel at this time, I’ll code it later when I’ll be able to find out your desired options: you’ll need to edit paypal-shortcodes.php and follow the comments. WP Auctions is a revolutionary plugin for WordPress which allows you to host auctions on your blog for ANYTHING you wish to sell, completely fee free! * Easy PayPal integration – all you need to supply is your PayPal email address! * Real-time sales updates – as soon as your item sells, ArtPal will disable it from being sold. You’ll never worry about your item selling twice! * Professionally supported – businesses mean business. Digital Sublimity provides commercial support, so you can be rest assured that your critical application will stay up and running when you need it. ShopperPress is a fully featured shopping cart theme for WordPress, suitable for selling any types of products, services, and digital downloads online. Professionally designed and developed, ShopperPress is easy to use and comes with lots of changeable templates and shopping cart features. Customizable Designs Shipping, Tax and Coupons Built in! Google Analytics/Webmaster Ready! Google Analytics/Webmaster Ready! PHPurchase An E-Commerce Plugin For WordPress.One of the best plugin. The WordPress Shopping Cart plugin gives you the ability to quickly and seamlessly integrate an online shop with a fully functional shopping cart interface into any WordPress website. Free Cart plugin is an extension of FatfreeCart. With FatFreeCart Plugin you do not have to generate or paste any code in CSS or HTML of WordPress theme. The plugin is designed to work within your WordPress post editor. FatFreeCart Plugin allows you to add “Add to Cart” and “View Cart” buttons on your blog posts so that you can sell your products straight through your blog post. FatFreeCart plugin has all the features of FatFreeCart such as flawless integration with Paypal and Google Checkout, product variations, Shipping handling, and Sales Tax. Sell more products by creating a shop tab on your Facebook fan or profile page that showcases products from your existing online store. Easily. Quickly. Inexpensively. articles, your knowledge, your own products or MRR/PLR items (ebooks, software, etc) and even run a membership site. The possibilities are endless. You will get the payments directly to your PayPal account and you can set the flat or recurring fee items. Ecwid is free full-fledged shopping cart that can be easily add to any blog. It’s not a hosted solution like all other plugins in this list but SaaS. Ecwid Shopping Cart takes minutes to add to your site, supports drag-and-drop and AJAX. It features customizable e-mail notifications, order history, tracking payment and shipping status, support for PayPal, Google Checkout. The FireStorm Ecommerce Shopping Cart Plugin is a free WordPress plugin that allows you to turn your WordPress website or Blog into a fully functional online store. The plugin is ideal for any corporate, small business or home based store. The administration is easy to use and loaded with features. It operates stand-alone which means it does not require blog posts for each product. This allows you to keep your blog separate from the store. Adds a PayPal donation sidebar widget and shortcode to WordPress. The options menu lets you setup you PayPal ID and a few other optional settings. 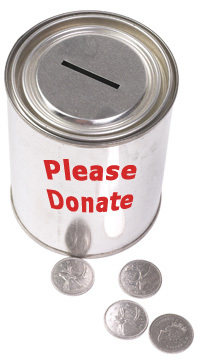 You can choose which donation button you want to use or if you want to use your own button. You can also set an optional default purpose and reference which can be overridden on each inserted instance with the widget and shortcode options. There is also settings for currency, custom payment page style and the return page. Once an invoice is created from the WP admin section, an email with a brief description and a unique link is sent to your client. Clients follow the link to your blog’s special invoice page, view their invoice, and pay their bill using their credit card. EasyPayPal is a WordPress plugin that allows you to make money from your WordPress site by collecting a payment from your users. When a new user creates a login on your site, they will be taken to PayPal to process their payment. When they return to your site, the next payment date will be updated based on a period that you define. After the next payment date, the user will attempt to login and they will be taken to PayPal to process their next payment. If you are interested in windows 7 certification then you should take advantage of mcp dumps by testking prepared to help those looking for easy way to pass their 70-433 exam. Gr8. That is really nice. I haven’t think about that 23 wordpress plugin ever. thanks for the author for this informative post. Hi, thanks for the great plug-ins it will really help with someone setting up an e-commerce site. Thanks for sharing. Thank you for the great collection of plug-ins. There are so many of them… Since I will be setting a shopping cart on a new website, I will probably choose to implement a theme with built-in plugin – such as templatic.com (thanks sneha for the tip, I haven’t heard of them before), or themeforest.com. Just thought i would comment and say neat design, did you code it yourself? Looks great. If you wishto swap the links with us please let me know. Check out Zingiri Web Shop as well. Nice blog theme and post tips, It’s much appreciated. Best regards and thx for sharing. I think shopp the best! WordPress is magic. It is one of the best blogging platforms, which has become as good as a CMS now. You can even build a complete website with it. While working for all these years in WordPress, we have realized how flexible it is when it comes to customization and integration of themes and plugins. We have also build numerous templates, themes, and plugins for WordPress which have been used for many of our clients’ projects. The plugins which you have mentioned here work great for e-commerce portals. We know, because we have tried it. Good job. Nice post. Nice list but a lot of these are premium plugin. For a singular plugin price, you can get more solution with WpBox.info huge pack! You will also use it for inspiratino for post like this. Hi, I want to know that if there is some kind of plugins or some thing what ever they call for it. I just want to know that is there any multi user stores plugins for wordpress.org?? I really need it! Personally I quite like http://www.350.com and their interpretation of PayPal e-commerce. The editors are all built into the page editor, so you don’t have to deal with making PayPal buttons and inserting them into the site yourself. As well as that, the PayPal buttons you make can be tied to the gallery feature so it’s very easy to get a great looking e-shop up and running quickly. You can also add alternative e-commerce buttons if you wanted to. Take a look at http://cart66.com for the updated version of PHPurchase. Thanks for compiling these plugins. Will save me a job finding them one by one. Cheers!